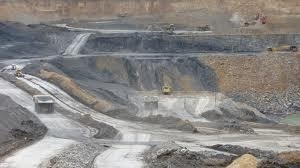 Pressure on Gujarat’s powerful Adani Group -- which is contracted along with few other top international companies to develop one of world’s biggest coalmines in Queensland province of Australia -- does not seem to be abating. Following well-known environmental group Greenpeace’s campaign against coalmining in the region, at least two companies have withdrawn from the Abbot Point coal port. The latest to withdraw is Lend Lease, world’s leading fully integrated property and infrastructure solutions company. “This follows BHP Billiton’s decision in November last year to withdraw their proposal to build the Terminal 2 project at Abbot Point and surrender their development rights, ruling out greenfield coal infrastructure developments in a slumping coal market”, a Greenpeace media release says. Pressure on the Adani Group and others involved in coalmining in the region began a few months ago when a a 2013 report by the US Institute for Energy Economics and Financial Analysis (IEEFA), sponsored by Greenpeace, said that Adani’s Carmichael coalmine, rail and terminal project in Queensland were “uncommercial”. Another report, again sponsored by Greenpeace against major Indian infrastructure company, GVK, also by IEEFA last year, saying the GVK’s $10bn Alpha coalmine, rail and terminal project were “uneconomic” and a “quagmire not an investment”, warning that “no investor should take part”. Greenpeace campaigner Louise Matthiesson in a separate statement has said it "applauds the North Queensland Conservation Council" for challenging coalmining in Queensland province step, claiming, "Thousands of people from around Australia and the world who have donated to a legal fighting fund to make the challenge possible." It termed the court challenge "another nail in the coffin for Adani and GVK’s Galilee Basin projects, which are already un-financial given the low world coal price.” .